The world called her “greatest living female architect”. Apart from the famous neofuturistic buildings, she was also well known for her wisdom that she has imparted through her writings. Born on 31st October 1950 in Baghdad, Iraq. Zaha moved to London for further studies. After completing her studies Zaha in 1980 started her own London-based practice. "You really have to have a goal. 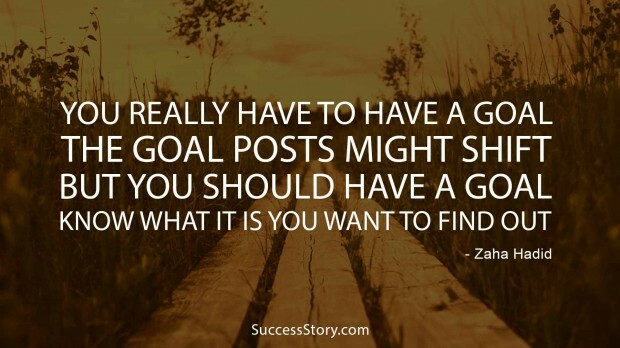 The goal posts might shift, but you should have a goal. 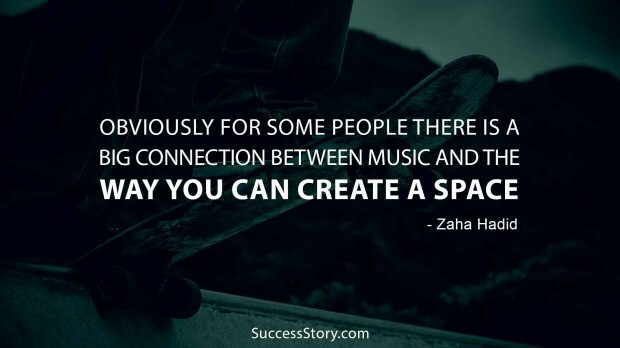 Know what it is you want to find out"
"Obviously for some people there is a big connection between music and the way you can create a space." 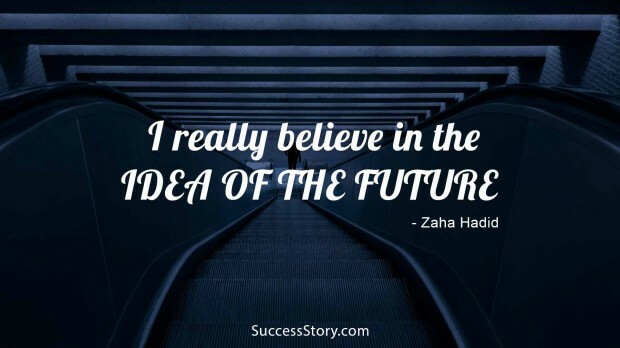 "I really believe in the idea of the future.Good education is so important. We do need to look at the way people are taught. It not just about qualifications to get a job. It's about being educated"
"I really believe in the idea of the future"
"I have always appreciated those who dare to experiment with materials and proportions." 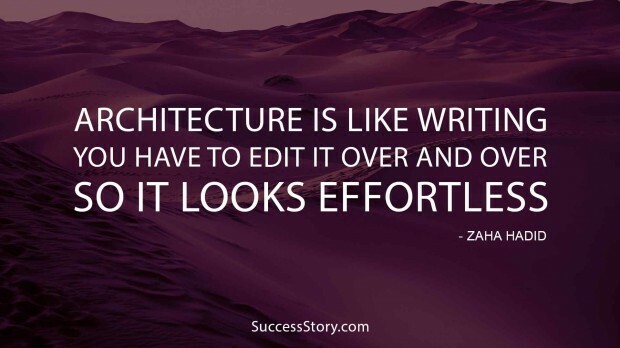 "Architecture is like writing. You have to edit it over and over so it looks effortless"
"Architecture is how the person places herself in the space. 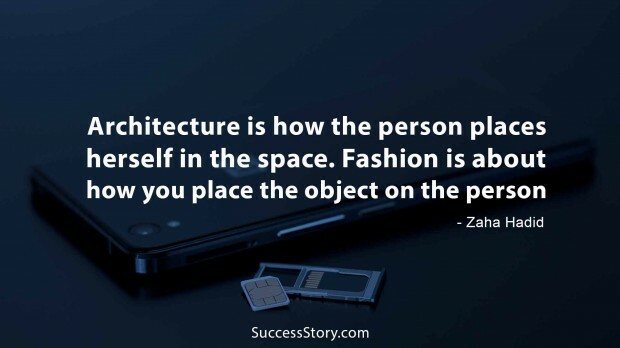 Fashion is about how you place the object on the person." "You don't always have to show art in what's called a white box; you can have a kind of complexity within an exhibit which actually respects the art as well." 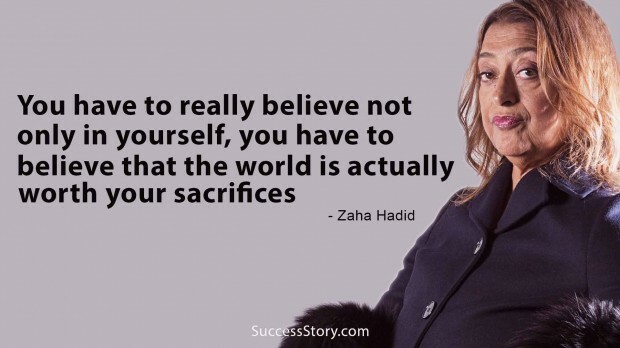 "You have to really believe not only in yourself; you have to believe that the world is actually worth your sacrifices"
In the mid 1980, Zaha also taught in various universities and also served as visiting/guest professor. She was also named as an honorary fellow of “American Academy of Arts and Letters”, whose goals is to “support and endure excellence” in American music, literature, and Art. 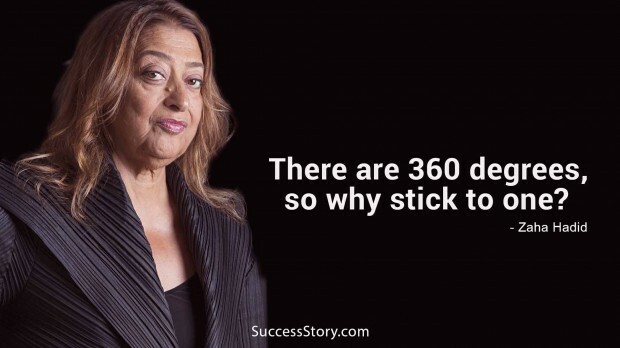 Zaha Hadid has written more than 20 books out of which the most famous is “Zaha Hadid”. 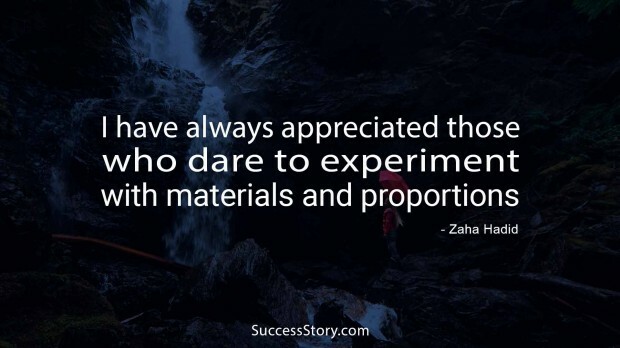 Apart from writing books Zaha has written a lot of famous quotes related to inspiration, Architecture, Women, belief, and sacrifice. Her quotes related to the woman are really inspiring. Her exceptional quotes about the woman made people see the woman as gifted, tough as well as smart. Her life inspiring quotes teach us that we need to look at life from various angles of perspective rather than looking and working on one single point and make life dull. 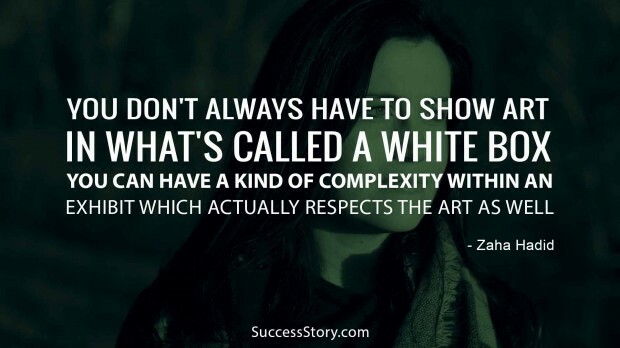 Her work as an architect also reflects in her quotes and she admires her creations more than anything. Zaha was also the first woman and the first Muslim recipient of the famous Pritzker Award. This award is considered as an Oscar in the world of architecture. She is one of the world’s most powerful woman.